The University of Buckingham is setting up a new Institute of School Leadership with the backing of Ofsted Chief Inspector Sir Michael Wilshaw and free market pioneer Toby Young. The Buckingham Institute of School Leadership (BISL), to be launched in 2017, aims to become the country’s dominant supplier of leadership training for headships and executive headships. The University is currently ranked number one in Britain among all universities for the quality of its teaching in The Times / Sunday Times table, and has a long-standing record of innovation in teacher training and excellence in educational research. 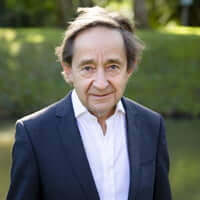 Learning from the experience of the now closed National College of School Leadership, founded in 2000, the Buckingham Institute of School Leadership will be led by Sir Anthony Seldon. He has been one of the most successful heads in the independent sector over the last 25 years. Brighton College and then Wellington College both improved under him quicker than other independent schools at that time. Wellington improved from 256 to 21 in the Sunday Times A-Level table from 2006 to 2014 and achieved ‘Outstanding’ in every category at inspection in 2014. The Buckingham Institute of School Leadership will fast track top graduates into schools after they leave university. These fast stream teachers will be given the opportunity of seeing different kinds of schools in the independent and state sector as their careers develop. It will train leaders not only for individual headship but also executive headship of several schools. It will also bring in proven leaders from other sectors and retrain them as heads and executive heads. It will draw on the best of leadership preparation across business and the public services. Sir Anthony said: “There is no more important issue today for schools than the quality of headship – not academisation, not curriculum, not exams, not inspections. Nothing is more important in schools than headship.